19 Dec 2018 *II B.Tech I Semester Revaluation & Recounting Notification, Dec-2018,Last date of Revaluation & Recounting is 26-12-2018. 19 Dec 2018 *Results declared of II B.Tech I Semester Regular & Supplementary (AR16) & Supplementary (AR13) Examinations, Nov-2018. 19 Dec 2018 *I-I B.Tech (AR18, AR16 & AR13) Revaluation Notification Dec-2018,Last date of Revaluation & Recounting is 24-12-2018. 19 Dec 2018 *Results declared of I B.Tech I Semester Regular (AR18) & Supplementary (AR16 & AR13) Examinations, Nov-2018. 08 Dec 2018 *IV B Tech I Sem RV & RC Notification Nov-2018. 08 Dec 2018 *IV B.TECH I SEM (AR13) REGULAR AND SUPPLEMENTARY EXAMINATIONS NOVEMBER, 2018 RESULTS DECLARED. LAST DATE FOR REVALUATION AND RECOUNTING IS 21.12.2018. 08 Dec 2018 *III B Tech I Sem RV & RC Notification Oct-2018. 08 Dec 2018 *Results of III B.Tech I Semester (AR16 & AR13) Regular & Supplementary Examinations, Oct-2018 Declared – Last date of Revaluation & Recounting is 15-12-2018. 06 Dec 2018 *AITAM Rated as Sliver in the AICTE- CII Survey Of Industry Linked Technical Institutes 2018. 03 Dec 2018 *I M.Tech I Semester (AR13 & AR16) Notification & Time Table, December-2018. 28 Nov 2018 *I-I M.Tech Mid-2 Time Table, Dec-2018. 28 Nov 2018 *IV B.Tech I Semester (AR13) Regular & Supplementary Examinations, November-2018 are postponed. 27 Nov 2018 *I-I MBA (AR17_AR16_AR13) Examination Notification & Time Table, Dec-2018. 27 Nov 2018 *I-I MBA Mid-2 Exam Time Table, Dec-2018. 25 Nov 2018 *Circular Reg Reimbursement and Scholarships. 25 Nov 2018 *Reg Establishment of "Institution of Innovation Council". 6 Nov 2018 *IV B.Tech Lab Examinations, Nov-18 Schedules Intimation. 6 Nov 2018 *Cricular Reg prohibition of using mobile phones(fitted with camera) . 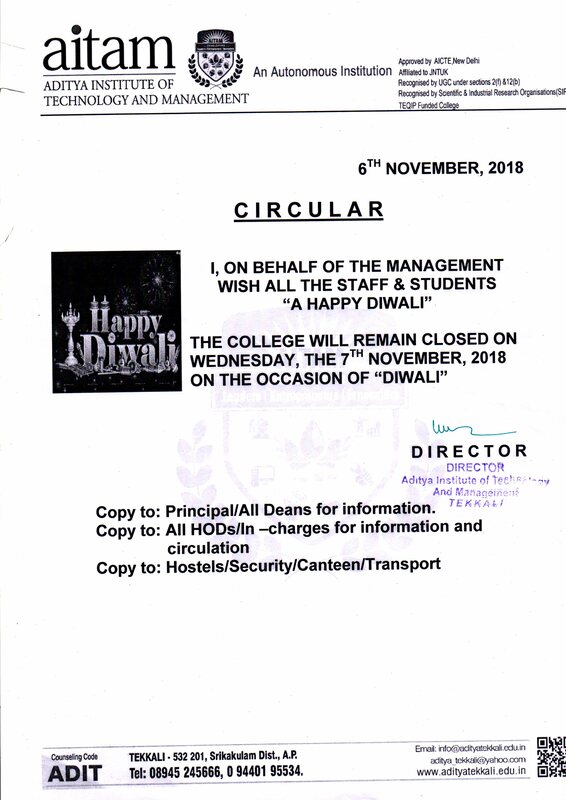 6 Nov 2018 *The college will remain closed on 7th Nov 2018,on the occasion of "DIWALI". 27 Oct 2018 *Revised Time Table of 4-1 B.Tech for Mid-3 Time Table Nov-2018. 27 Oct 2018 *II-I B.Tech (AR16 & AR13) End Exam Time Table Nov-18. 27 Oct 2018 *I-I B.Tech AR18 End Exam Time Table Nov-18. 27 Oct 2018 *I-I B.Tech (AR18) Notification Nov-18. 24 Oct 2018 *IV-I B.Tech Time Table For Semester Examination, Nov-2018. 24 Oct 2018 *IV-I B.Tech Notification For Semester Examination, Nov-2018. 24 Oct 2018 *II-I B.Tech Mid-2 Time Table, Nov-2018. 24 Oct 2018 *I-I B.Tech Mid-2 Time Table, Nov-2018. 14 Oct 2018 *Revised Schedules of III B.Tech I Semester Lab Examinations, October-2018. 14 Oct 2018 *Revised Schedules of I M.Tech I Semester Mid-1 Examinations, October-2018. 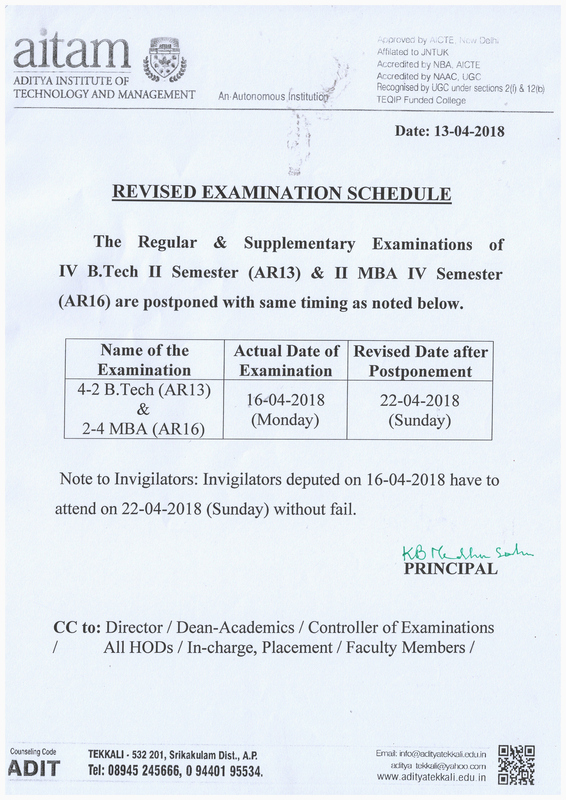 13 Oct 2018 *Reschedule of III B.Tech I Semester (AR16) MID Examinations, Oct-2018. 06 Oct 2018 *I-I B.Tech (AR16&AR13) Suppl Exam TT Nov-18 . 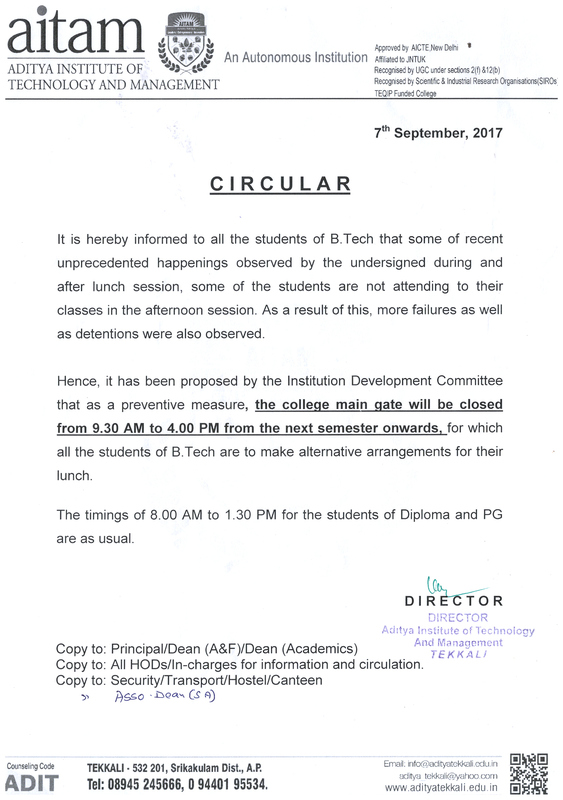 06 Oct 2018 *I-I B.Tech (AR16-AR13) Notifcation Oct-18. 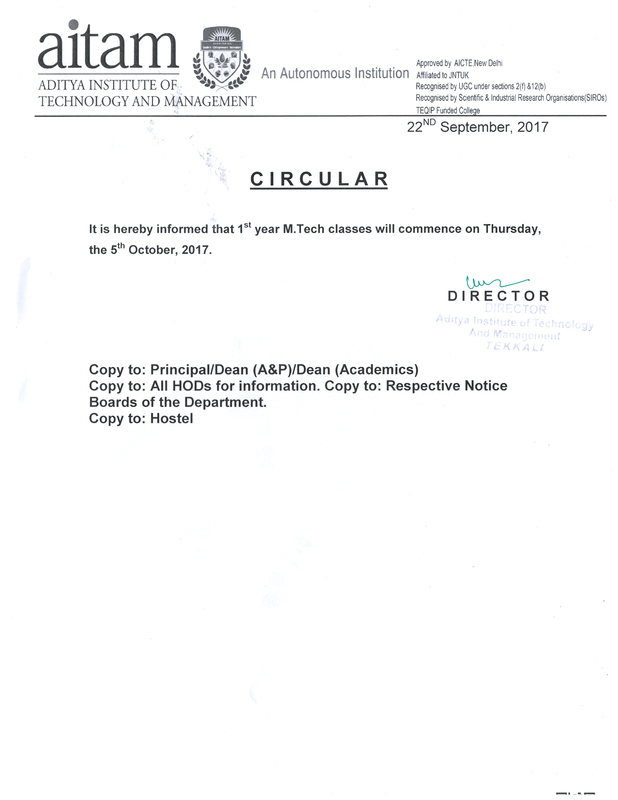 29 Sep 2018 *I-I M.Tech (AR16) Mid-1 Time Table Oct-18. 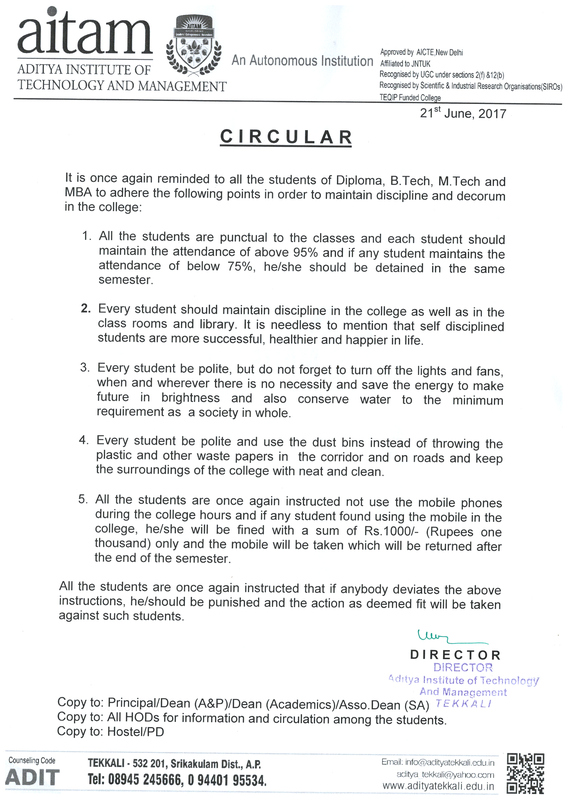 29 Sep 2018 *Circular Reg Banning of Cake cuting with in the Campus. 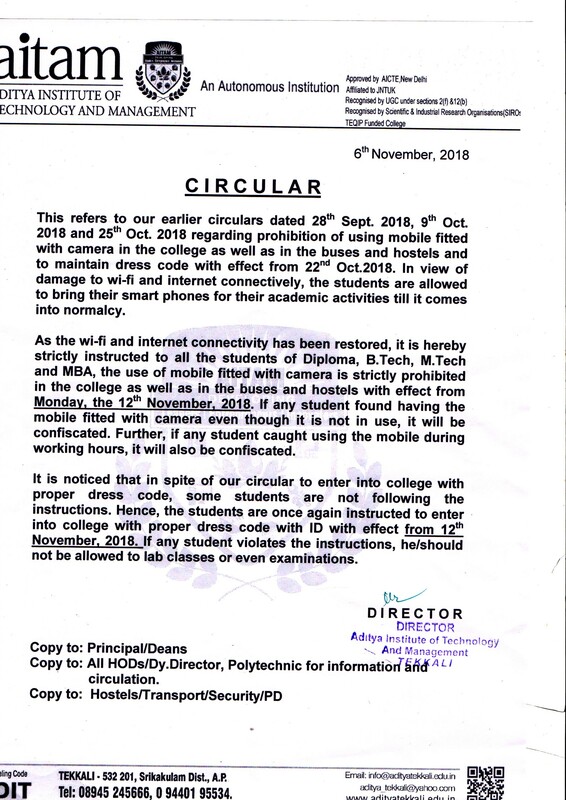 29 Sep 2018 *Circular Reg Banning of Mobile With Camera. 27 Sep 2018 *III-I B.Tech (AR16&AR13) End Exam Time Table, Oct-2018 . 27 Sep 2018 *III-I B.Tech (AR16&AR13) End Exam NotifIcation, Oct-2018 . 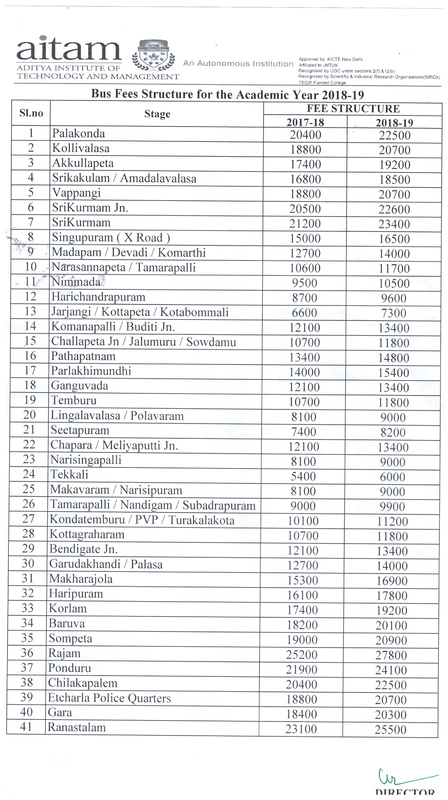 25 Sep 2018 *III-I B.Tech (AR16) Mid-2 Time Table, Oct-2018 . 24 Sep 2018 *I-I B.Tech (AR18) Mid-1 Time Table Sep-18 . 20 Sep 2018 *RC & RV Notification of 1-2 M.Tech (Ar16 & AR13) Regular & Supplementary Examinations, August-2018. 18 Sep 2018 *IV-I B.Tech (AR13) Mid-2 Time Table Sep-2018. 17 Sep 2018 *Reg. Campus Drive - SMART DATA ENTERPRISES. 17 Sep 2018 *Reg. Campus Drive - APPS ASSOCIATES. 05 Sep 2018 *II-I B.Tech (AR16) Mid-I Time Table. 04 Sep 2018 *Online apply for the UG & PG Provisional certificates for all years passed outs_JNTUK (Phase - IV in Sept 2018)(Upload on or before 15-09-2018). 27 Aug 2018 *Reg. 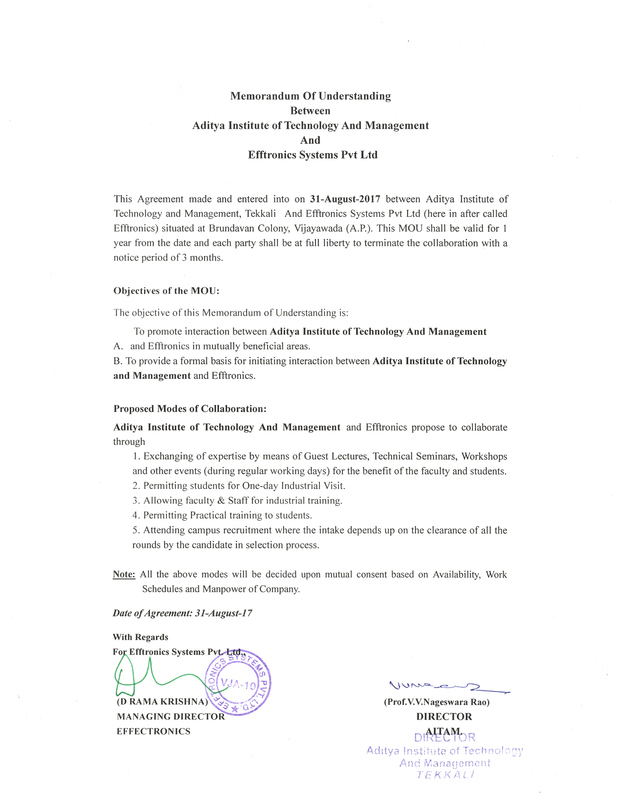 Fee Reimbursement and scholarship of Ist B.Tech,M.Tech & MBA. 23 Aug 2018 *Revaluation Results declared of II B.Tech II Semester (AR16 & AR13) / III B.Tech II Semester (AR13) IV B.Tech II Semester (AR13) Supplementary Examinations, July-2018. 23 Aug 2018 *Revaluation & Recounting Notification of I B.Tech II Semester (AR16&AR13) Supplementary Exams, Aug-2018. 23 Aug 2018 *Results declared of I B.Tech II Semester (AR16 & AR13) Supplementary Examinations, August-2018. 15 Aug 2018 *IV-I B.Tech Mid-I Examinations, August-2018. 13 Aug 2018 *III-I B.Tech (AR16) Mid-I Time Table, Aug-2018. 30 July 2018 * GATE - 2019 BROCHURE. 13 July 2018 *M.Tech I-II (AR16) Mid-2 Time Table, Jul-2018. 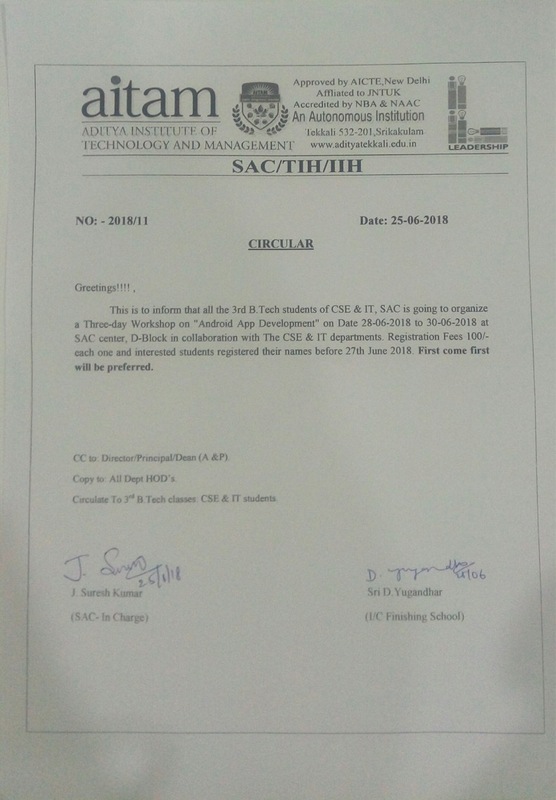 21 June 2018 *SAC organising "Computer Aided Drawing" for 3rd B.Tech CIVIL students. 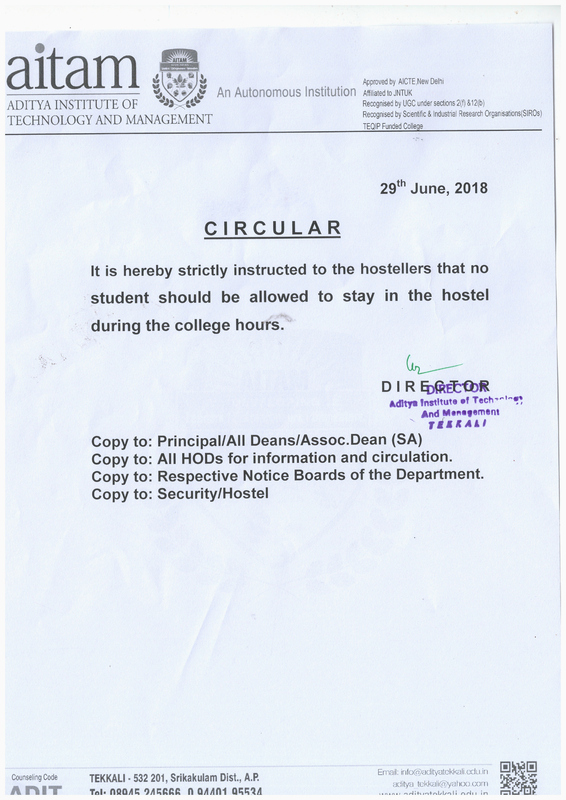 21 June 2018 *Circular reg. 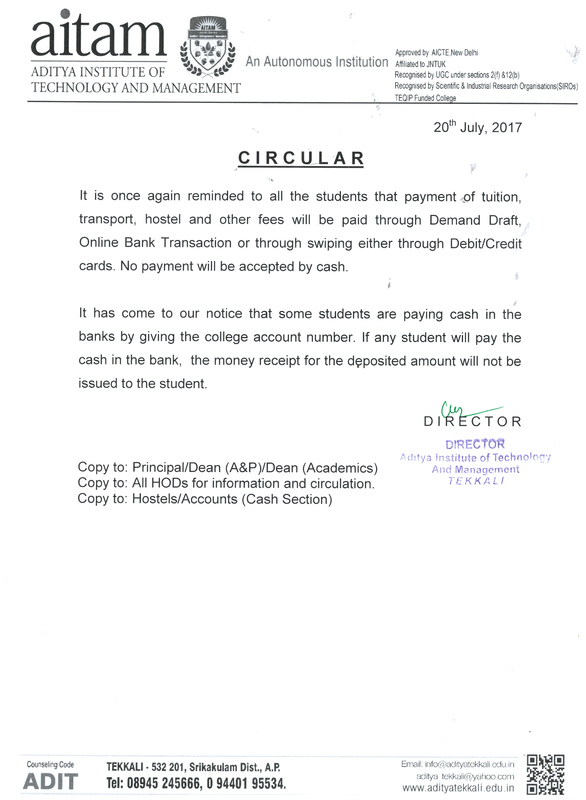 payment of Tuition and other fee for II-I B.Tech students. 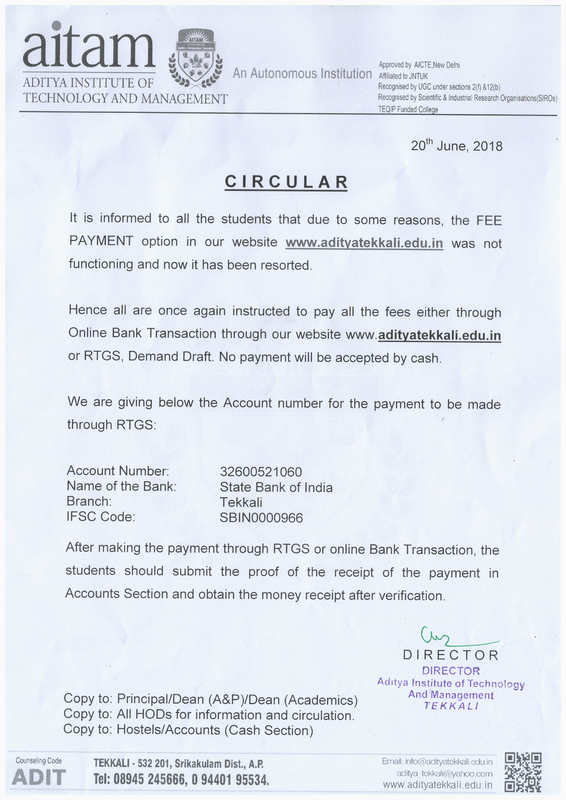 21 June 2018 *Circular Reg.Fee Payment. 19 June 2018 *Circular Reg. 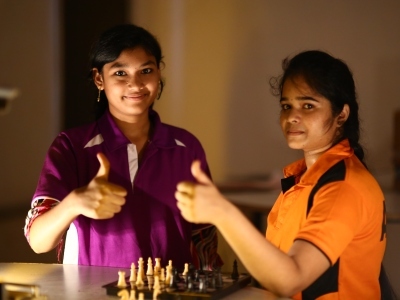 II & III year diploma scholarships renewals. 09 June 2018 *Supplementary Examination Notifications & Time Tables for II B.Tech II Semester (AR16&AR13) III B.Tech II Semester (AR13) IV B.Tech II Semester (AR13) Reg / Supplementary Examinations, Jul-2018. 07 June 2018 *Results Declared of Revaluation / Recounting for II B.Tech II Semester (AR16&AR13) III B.Tech II Semester (AR13) IV B.Tech II Semester (AR13) Reg / Supplementary Examinations, April-2018. 07 June 2018 *Revaluation / Recounting Notification of II MBA IV Semester (AR16&AR13) Exams, April-2018. 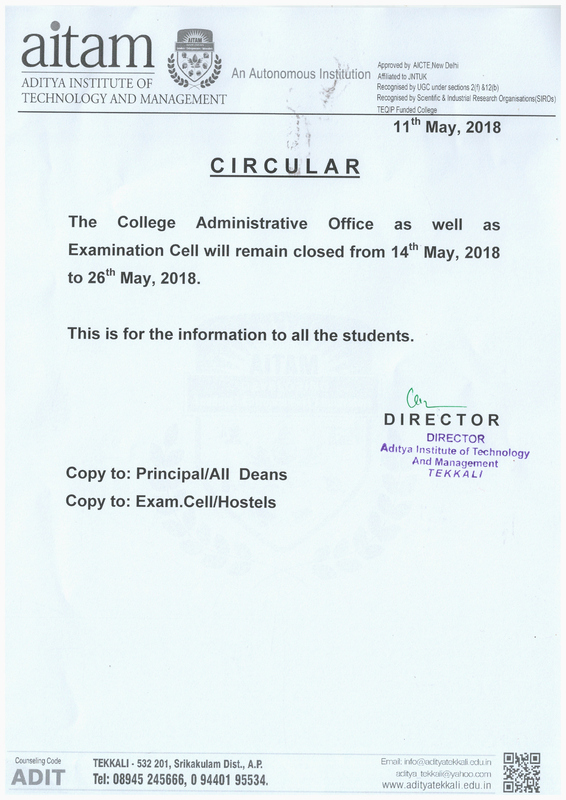 12 May 2018 *College Administrative office and Examination cell will remain closed from 14 May to 26 may 2018. 07 May 2018 *PC Eligible List for the batch 2014-2015. 07 May 2018 *Circular reg. 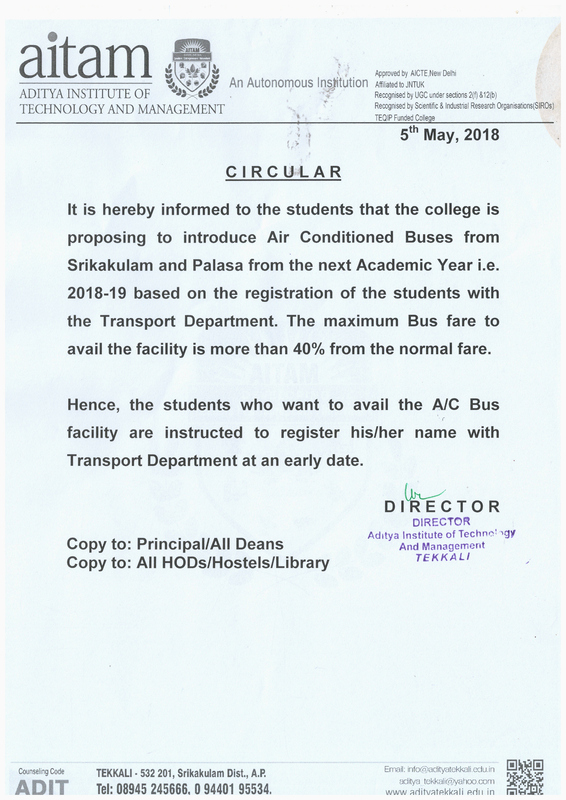 proposing to introduce AC Buses. 05 May 2018 *IV B.Tech II Sem 2013 Supplementary Results Declared, April-2018. 05 May 2018 *III B.Tech II Sem 2013 Supplementary Results Declared, April-2018. 05 May 2018 *II B.Tech II Sem 2013 Supplementary Results Declared, April-2018. 05 May 2018 *II / III / IV B.Tech II Semester (Suppl) Revaluation / Recounting Notification Apr-2018. 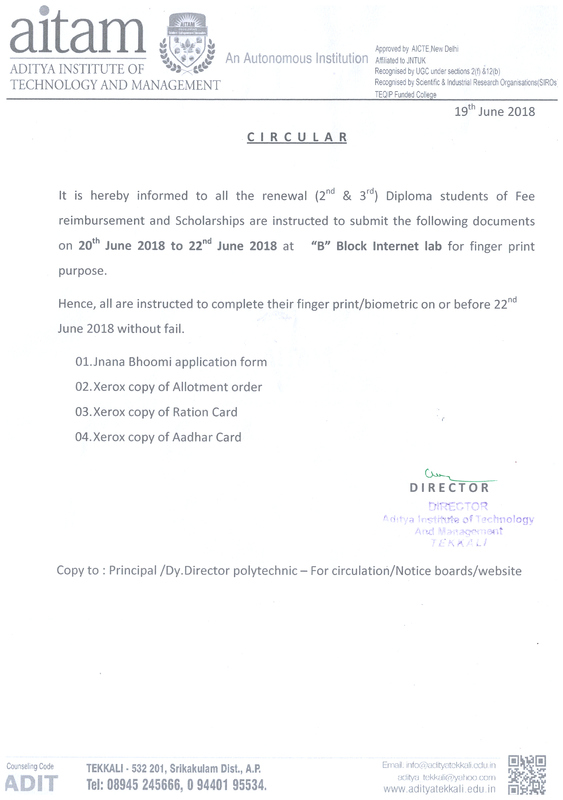 05 May 2018 *III-II B.Tech (AR13) Regular RC&RV Notification Apr-18. 05 May 2018 *III B.Tech II Sem Regular and II,III,IV B.Tech II Sem Supply Apr-2018 results are declared please check in the student portal. 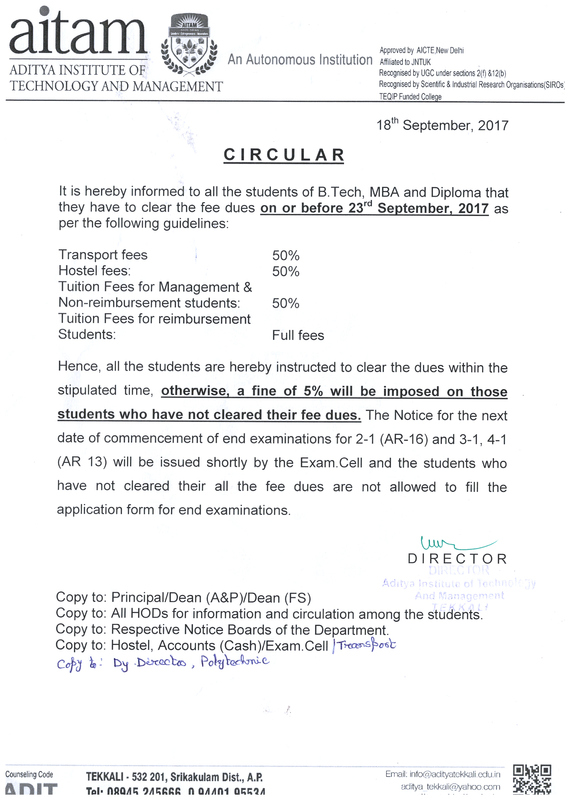 04 May 2018 *Student Bus Fee AY 2018-19. 18 Apr 2018 *I-II B.Tech/MBA Regular & Supply notification and Time Table. 18 Apr 2018 *I-II B.Tech(AR16) Mid-2 Time Table. 18 Apr 2018 *I-II MBA(AR17) Mid-2 Time Table. 14 Apr 2018 *Time Table for final year regular and supply examination of B.Tech/MBA on 22 Apr 2018. 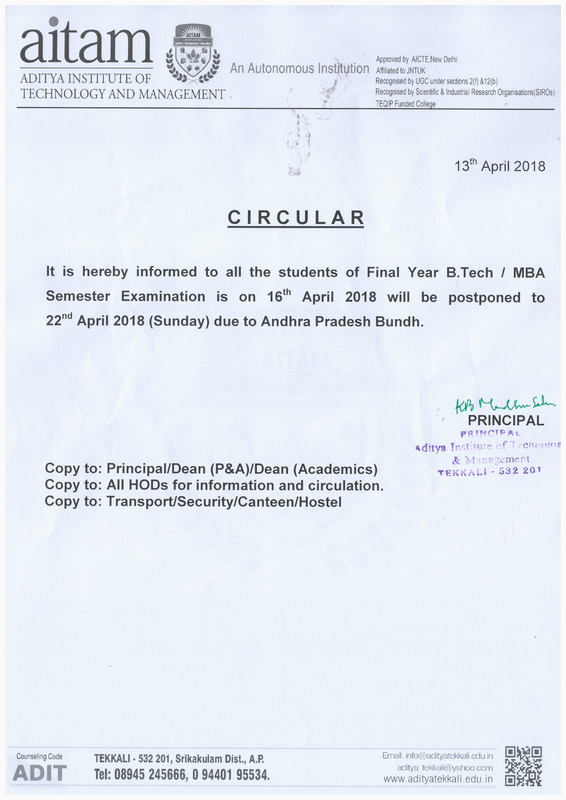 14 Apr 2018 *All the students of final year B.Tech/MBA Sem Exams in on 16 Apr will be postponed to 22 Apr 2018 . 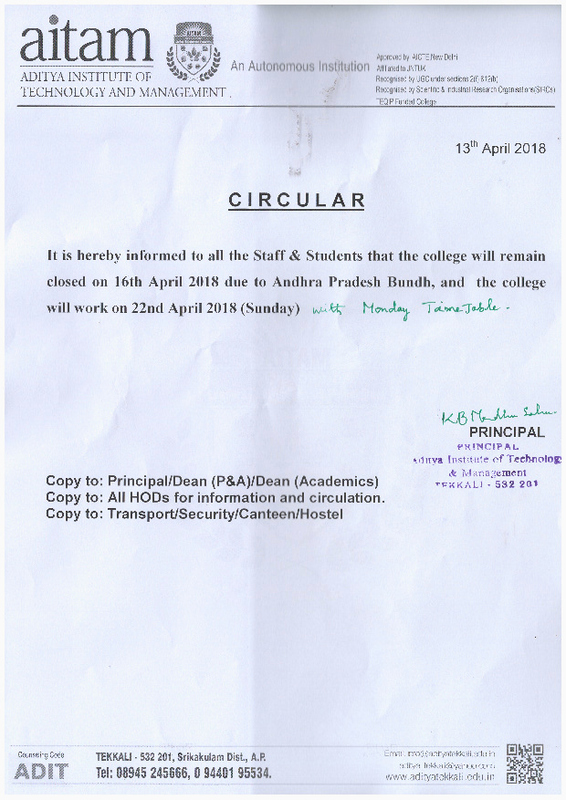 14 Apr 2018 *College will be closed on 16 Apr 2018 due to AP Bundh. 10 Apr 2018 *I-I M.Tech (AR16&AR13) RC & RV Apr-2018. 10 Apr 2018 *I-II M.Tech (AR16) Mid-I Time Table Apr-2018. 07 Apr 2018 *IV-I B.Tech Supply Revalution Results(AR13) . 07 Apr 2018 *III-I B.Tech Supply Revalution Results(AR13) . 07 Apr 2018 *II-I B.Tech Supply Revalution Results(AR13&AR16) . 07 Apr 2018 *I-I B.Tech Supply Revalution Results(AR13&A16) . 07 Apr 2018 *I-I M.Tech Supply Results(AR13) . 07 Apr 2018 *I-I M.Tech Regular Results(AR16) . 07 Apr 2018 *Reg. 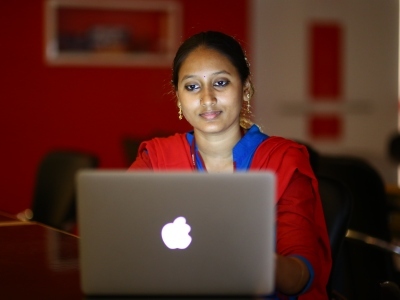 registration process for the students of Diploma. 07 Apr 2018 *Reg. 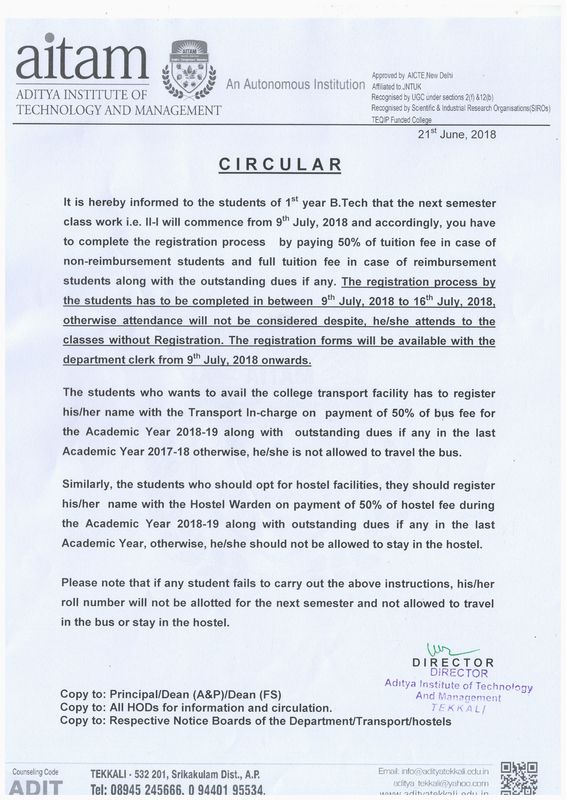 registration process for the students of III-B.Tech. 05 Apr 2018 * I-II B.Tech (AR16 & AR13) Supplementry Notification & Time Table, June-2018. 27 Mar 2018 * IV-II B.Tech Mid-2 Exam TT. 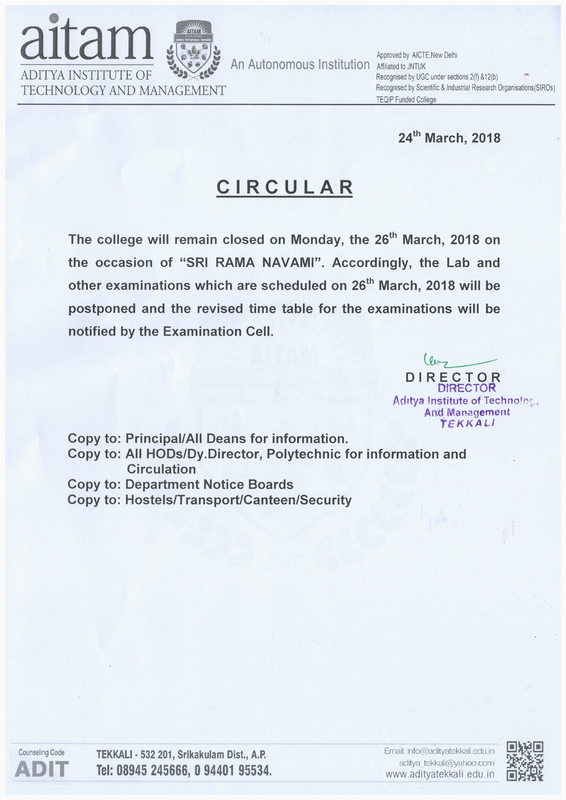 24 Mar 2018 *On Occasion of Sri Rama Navami College will be closed on 26-03-18. 24 Mar 2018 *2-4 Semester MBA Notification & Time Table Apr-2018. 24 Mar 2018 *IV-II B.Tech Notification & Time Table Apr-2018 . 24 Mar 2018 *“RAMTeCH” is visiting our campus to recruit 2018 B.Tech (ECE, EEE & Mechanical- Male ) pass out students on 30-03-2018. 20 Mar 2018 *II-II B.Tech Notification & Time Table, Apr-2018. 19 Mar 2018 *Triveni Turbine Limited Drive on 23/03/18 @GMRIT for Mechanical [Register in Online]. 19 Mar 2018 *MindMap Consulting Drive on 22/03/18 @ AITAM. 16 Mar 2018 *Resolute Electronics Pvt.Ltd Drive on 17-03-18 @AITAM for ECE. 13 Mar 2018 * III-II B.Tech Notification & End Exam TT Apr-2018. 13 Mar 2018 * Revaluation & Recounting Notification of I B.Tech I Semester Supplementary Examinations, Feb-2018. 13 Mar 2018 * I B.TECH I SEM Supplementary Examinations (AR13) Feb 2018 Results. 13 Mar 2018 * I B.TECH I SEM Supplementary Examinations (AR16) Feb 2018 Results. 9 Mar 2018 * Second Saturday(10-03-2018) is Holiday. 9 Mar 2018 * 3-2 B.Tech & 2-2 B.Tech Mid Exam Time Table, March-2018. 6 Mar 2018 * Reg- Seminar on International Women's Day. 6 Mar 2018 * Reg- closing of main gate of the college. 3 Mar 2018 *Reg. payment of outstanding dues by the students. 22 Feb 2018 *1-2MBA Mid-II Exam Time Table, Feb-2018. 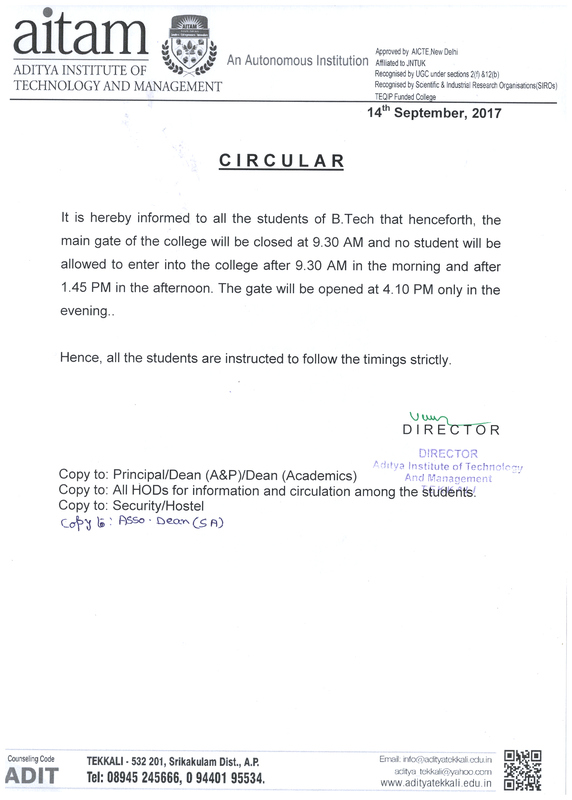 22 Feb 2018 *Circular regarding ASPIRE - 2k18(Timings). 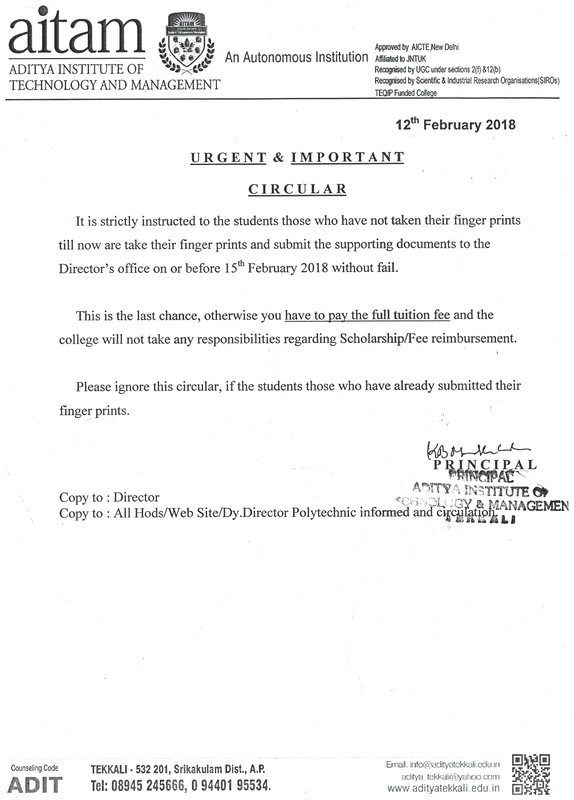 21 Feb 2018 *Circular regarding ASPIRE - 2k18. 14 Feb 2018 *ALUMNI -REG-REGISTRATION CIRCULAR TO FINAL YEAR STUDENTS. 14 Feb 2018 *Supplementary Results of II-1 BTECH(DEC 2017), III-1& IV-1 BTECH (JAN-2018) are declared ( Verify in Student portal) / Check Revaluation and recounting notifications. 13 Feb 2018 *Circular reg. scholarship & Fee reimbursement. 09 Feb 2018 *Circular reg. working day on Saturday. 06 Feb 2018 *Circular Reg. Bank loan to the students. 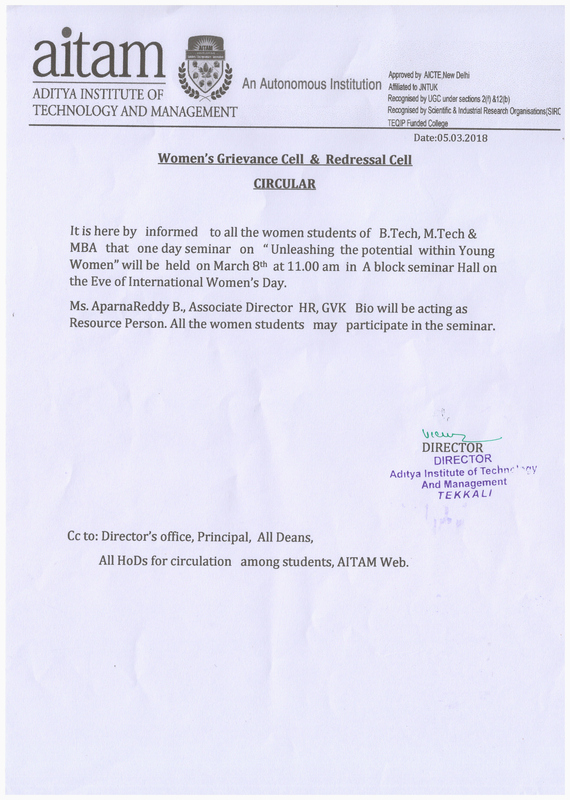 3 Feb 2018 *Allsec Technologies Limited Campus Drive on 13/02/18 at AITAM. 31 Jan 2018 *3-2 B.Tech (AR13) Mid-II Time Table, Feb-2018. 31 Jan 2018 *Notification and TT I B.TECH I SEMESTER SUPPLEMENTARY EXAMINATIONS AR16 & AR13 REGULATION. 24 Jan 2018 *Reliance Jio campus drive on 29/01/18 at AITAM. 20 Jan 2018 *Ministry of Science & Technology has identified our college for support under FIST to Strengthen R&D activities. 19 Jan 2018 *Notification & TT for I M.Tech I Sem (AR16) Regular & Supplementary Examinations & I M.Tech I Sem(AR13) Supply. 18 Jan 2018 *I B.TECH I SEMESTER (AR13) SUPPLY RESULTS,DEC-2017(REC/REV-25-1-18). 18 Jan 2018 *I B.TECH I SEMESTER (AR16) REGULAR/SUPPLY RESULTS,DEC-2017(REC/REV-25-1-18). 18 Jan 2018 *Campus Drive Wane Technologies Pvt. Ltd at AITAM on 22 Jan 2018. 18 Jan 2018 *Campus Drive Asahi India Glass Ltd at GMRIT on 22 Jan 2018. 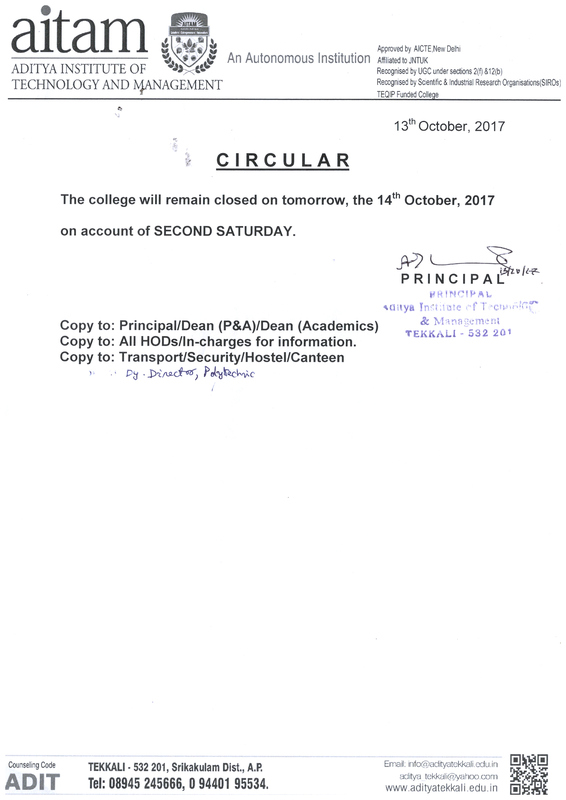 12 Jan 2018 *The college remain closed from 13 to 17 Jan 2018 on occsion of Sankranthi. 12 Jan 2018 *“Asahi India Glass Ltd”:Campus Recruitment Drive on 22-01-2018. 2 Jan 2018 *ISTE Best Chapter Award for the year 2017. 2 Jan 2018 *Reg :- Bus For the students having Supplementry Examinations . 30 Dec 2017 *Reg NBA Accreditation. 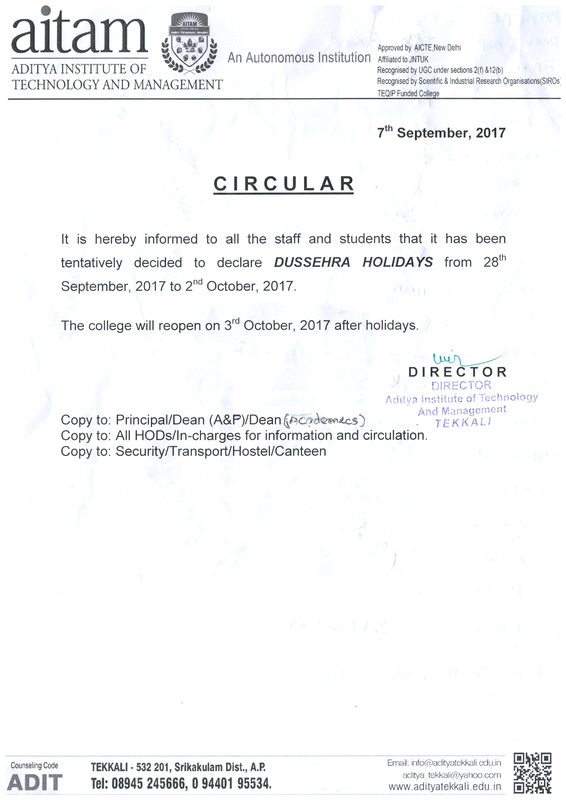 30 Dec 2017 *Holiday on 1st Jan.
27 Dec 2017 *For all Fee reimbursement and scholarship students. 23 Dec 2017 *College will be closed on 25th Dec on the occasion of "christmas". 23 Dec 2017 *Reg: Registration process for I MBA(Sem-II). 21 Dec 2017 *Reg: Registration process for I B.Tech(Sem-II). 21 Dec 2017 *Reg: Intra semester break for II,III & IV B.Tech. 21 Dec 2017 *Reg: Pongal Holidays(Tentative dates). 21 Dec 2017 *Reg: Fee Reimbursement and scholarships. 20 Dec 2017 *Reg: Fee Dues for II & IV B.Tech. 14 Dec 2017 *Campus Recruitment “GSG: A Unit of Hiferk Technologies Pvt.Ltd". 13 Dec 2017 *Revised Mid-1 Time Table of 3-2 B.Tech Intimation. 12 Dec 2017 *Circular reg. 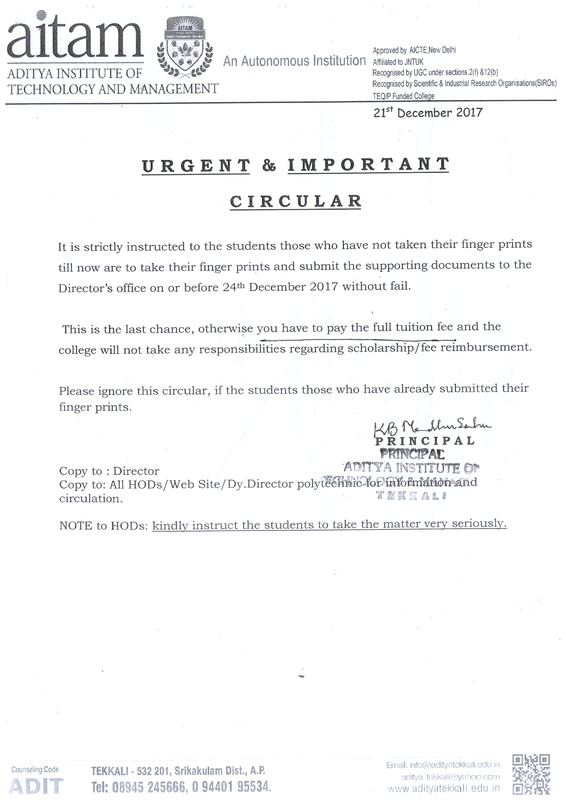 payment of all outstanding dues for III B.Tech students. 12 Dec 2017 *2-1 / 3-1 / 4-1 B.Tech Supplementary Notifications & Time Tables, Dec-2017_Jan-2018. 11 Dec 2017 *Formac Registration 2017. 28 Nov 2017 *II-I B.Tech(AR13)Supply & II-I B.Tech(AR16) Reg notification for Revaluation & Recounting. 28 Nov 2017 II B.TECH I SEM (AR16) REGULAR EXAMINATION, OCTOBER/NOVEMBER 2017 RESULTS DECLARED. 28 Nov 2017 *II B.TECH I SEM (AR13) SUPPLY EXAMINATION, OCTOBER/NOVEMBER 2017 RESULTS DECLARED. 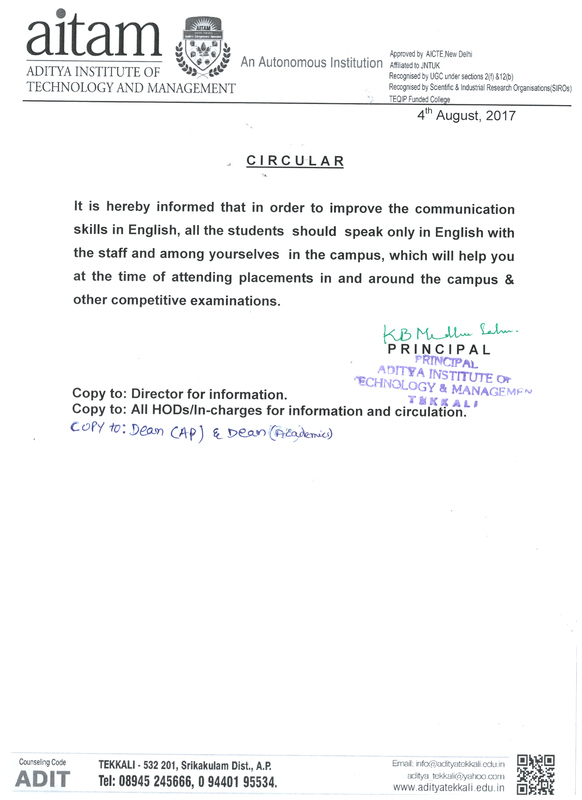 27 Nov 2017 “AD3I” campus to recruit 2018 B.Tech (ECE, CSE, EEE & IT) pass out students on 05-12-2017. 27 Nov 2017 Reg:- “CommLab India LLP” Campus Recruitment Drive on 28th and 29th November 2017 at ANITS, Vishakapatnam. 27 Nov 2017 Reg:-“VEE TECHNOLOGIES” Interviews on 30-11-2017 for Hiremee online test cleared students. 27 Nov 2017 Reg:-“ADP":Campus Recruitment Drive on 28-11-2017 at GVP, Vishakapatnam. 23 Nov 2017 I B.Tech, I M.Tech & I MBA MID-1 Titme Table. 23 Nov 2017 I MBA I Sem Notif & Titme Table Dec-2017. 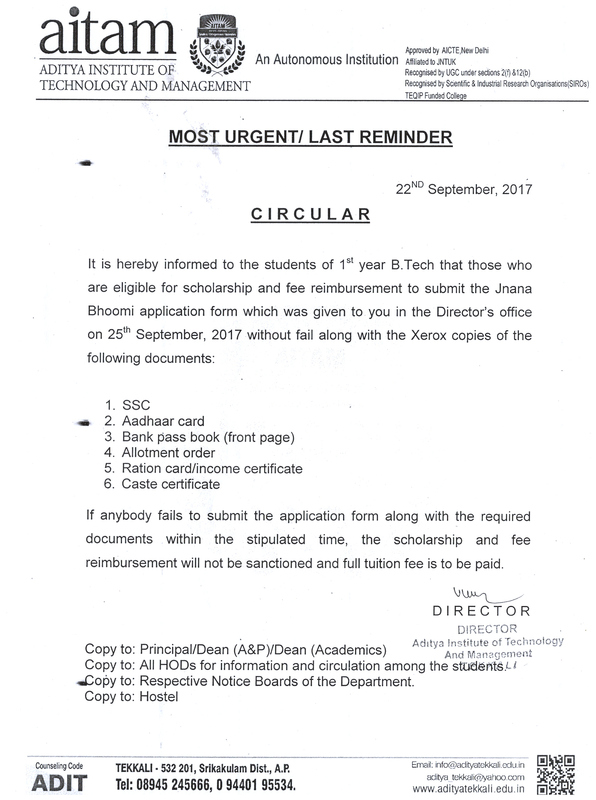 23 Nov 2017 I B.Tech I Semester Notification & Titme Table Dec-2017. 20 Nov 2017 Revaluation & Recounting Notification for III & IV B.Tech Reg/sup OCTOBER . 20 Nov 2017 Reg. Registrtion Process for the students. 16 Nov 2017 III & IV B.Tech Reg/sup OCTOBER, 2017 RESULTS DECLARED. 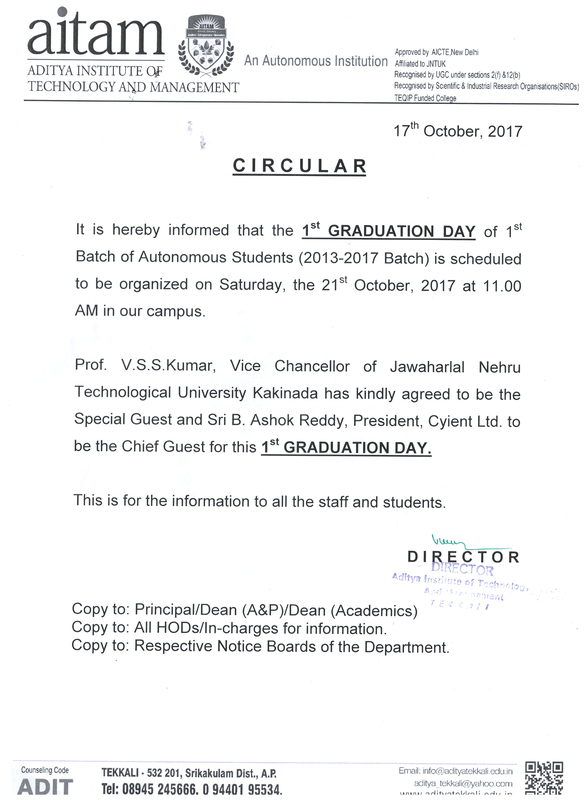 09 Nov 2017 campus to recruit 2018 B.Tech (ECE, CSE & IT) "STEINMETZ” on 17-11-2017. 2 Nov 2017 campus to recruit 2018 B.Tech (All Branches) "VEE TECHNOLOGIES” . 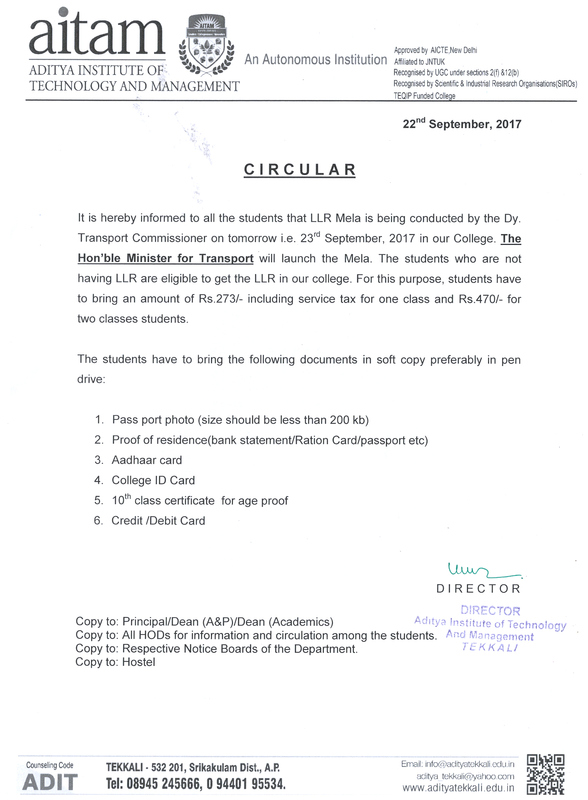 21 Oct 2017 Renewal of scholarships/fee reimbursement for all the students. 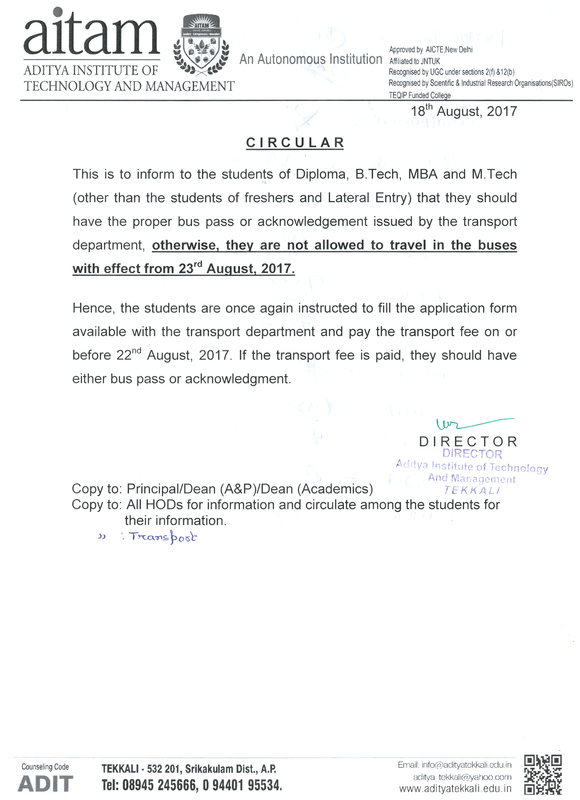 21 Oct 2017 all eligible(I years) scholarship/fee reimbursement are instructed to submit online application. 18 Oct 2017 GRADUATION DAY on 21-10-17. 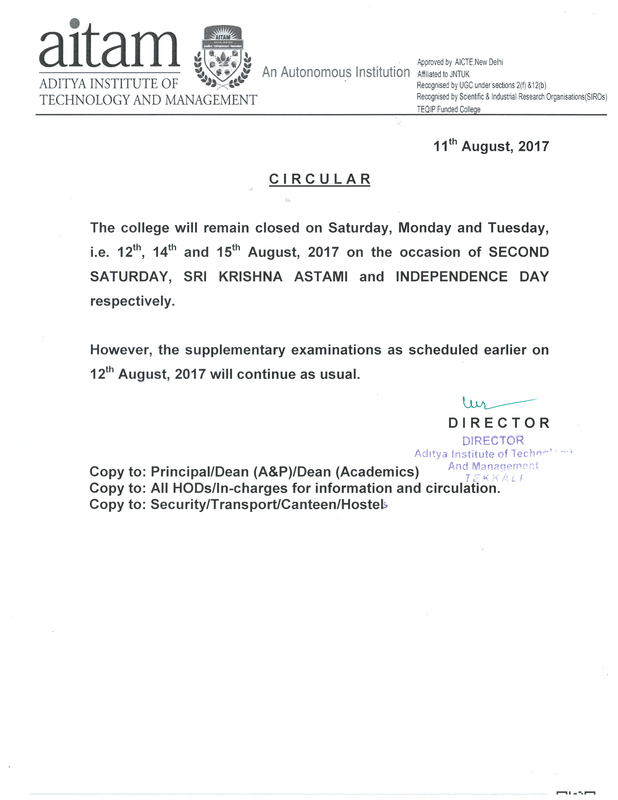 12 Sep 2017 I B.Tech I Semester (AR16) & I MBA I Semester (AR17) MID-1 Exam Time Table.